The use of blockchain to conduct business across international lines has long been seen as a major application for the tech – but where it offers the most benefits is still open to debate. 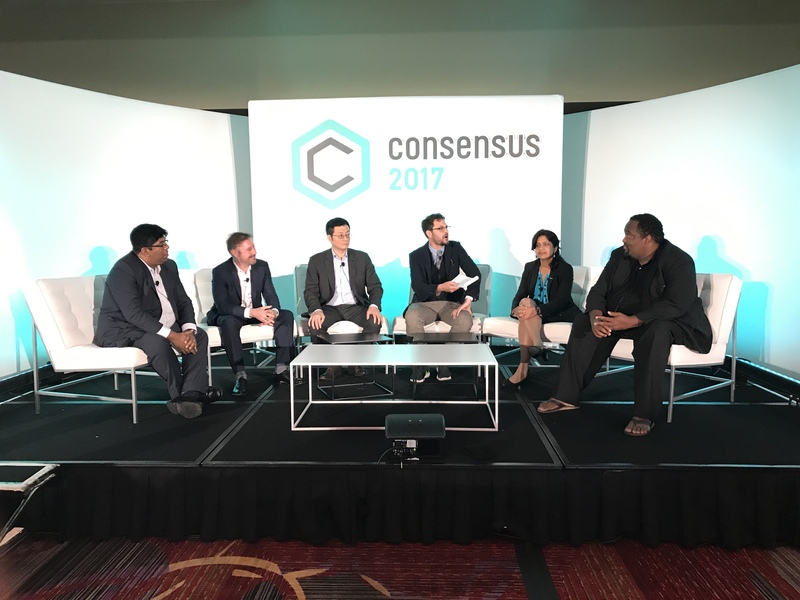 During a panel on cross-border payments at CoinDesk’s Consensus 2017 blockchain conference in New York, Sheila James, vice president of operations at blockchain startup Veem, argued that, for this purpose, transparency is blockchain’s biggest boon. “By using the blockchain, we are able to move money from country A to country B quickly, and give our customers more precise information about their transactions, which is what they are looking for,” she said. It’s a sentiment shared by a number of proponents in both the blockchain and wider finance space – but not all of the panelists were convinced. Harry Newman, who serves as global head of banking for Swift, made the pitch that the ability to link disparate databases together was a major benefit, though he went on to dismiss its use for cryptocurrencies. “To use distributed ledger technology, we don’t need to have this association with a cryptocurrency. I think that is unhelpful,” he said. That comment led to another point of contention, raised by Elizabeth Rossiello, founder and CEO of BitPesa, a bitcoin payments startup. Elsewhere at the conference, another panel discussed blockchain’s potential to reduce friction in the cross-border trade process. Lamar Wilson, founder of blockchain startup Hijro, argued that the trade finance system as it exists today is too archaic, wherein people use email to send spreadsheets and PDFs to manage the different aspects of the process. Blockchain, he went on to posit, would allow companies to share that information more easily. “When it comes to information, say you validate an invoice, and you tell everyone this invoice is real, and now that supplier can go to other banks. It is not about sharing an entire book that gives out too much information. It is around the market, but also around information. Information is where the value is,” he said. But some felt strongly that bringing disparate parties together was the key to setting the stage for trade finance applications. Lata Varghese, senior partner at IT firm Cognizant, argued that not enough work to build real network effects. Soumak Chatterjee, senior manager at Deloitte, agreed that the tech has lived up to its promise, but aspects like privacy, as well as broader technology standards, remain an issue in his opinion. “What is standard trade contract going to look like?” Chatterjee asked. Disclosure: CoinDesk is a subsidiary of Digital Currency Group, which has an ownership stake in BitPesa and Hijro.